The Crocodile bench for kids was designed by Normal Studio for Tolix and belongs to the series of children's furniture. The bench seats up to two children and can be transformed into the ideal seating area to play, eat and do arts and crafts when combined with the Rhino table. The bench is made of sheet steel and is stable as well as exceptionally light. It is available in different colours and adapts to any space and interior style. Isolated product image of the Crocodile children bench by Tolix in matt white. Up to two children can fit on the bench from the children's series by Tolix. 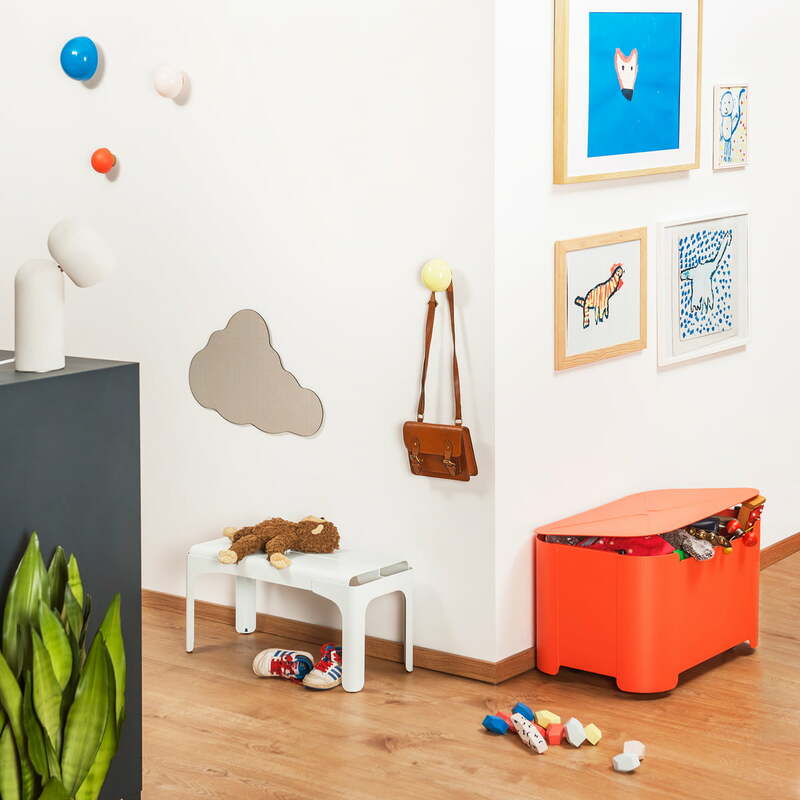 Lifestyle product image: The Crocodile children’s bench, the Turtle storage box and the Les clous wall hook by Tolix are ideal in the entrance area for shoes and jackets. Lifestyle product image of the Crocodile bench for children by Tolix. 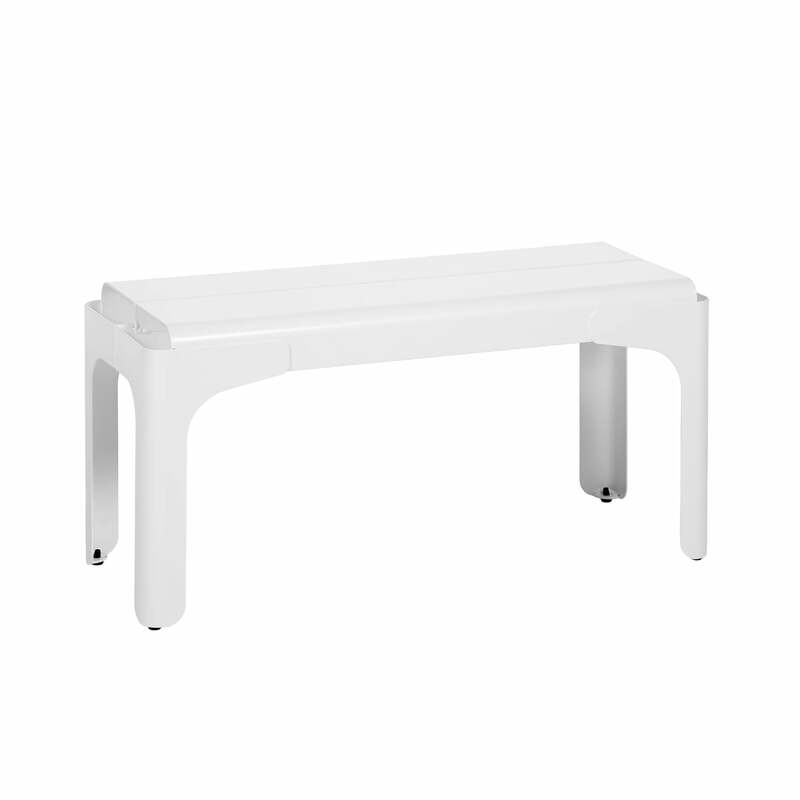 The bench is made of sheet steel and is very sturdy as well as exceptionally light. Group image of the Crocodile bench for children and the turtle storage box by Tolix. All of the pieces of furniture for children are made from sheet steel. The Turtle storage box, the Rhino kids table, the Seagull armchair and the Crocodile kids bench all belong to the series of children’s furniture, that was designed by the design duo Normal Studio for Tolix.